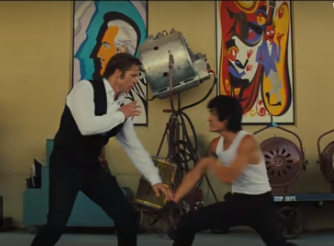 The Teaser of Much Anticipated Movie “Once upon a time in Hollywood ” Released on Tuesday .The Greatest Delight of the Teaser is about Unexpected Appearance of Famous Martial Artist and Actor Bruce lee Played by Mike Moh , Demonstrates his Kungfu skills to stunt man cliff booth , played by Brad pitt. Factually in late 1960’s Lee Choreographed few stunt scenes , played as Side kicks Before featuring as Lead . 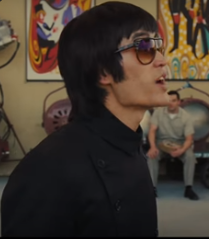 Lee character Played by Mike Moh , Few Things to be know about Mike moh , He is a a balck belt in Martial Arts , Jackie Chan was His Inspiration .